Based on the stories from my mother, her twin sister and my cousin, pregnancy would be second nature, birth would be no big deal, and then I would get a perfect baby! Ta-da! Easy peasy. 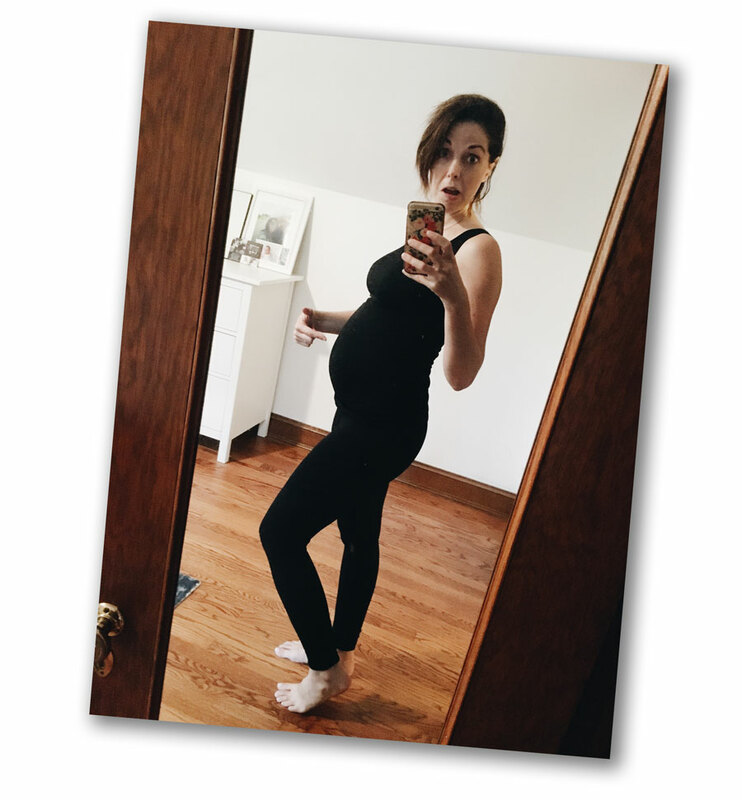 Well, I can tell you that at 20 weeks pregnant, I have been nauseous every single day since week 7 and life has felt many things, but not easy. Some days are better than others, but suffice to say that I am not feeling like a prenatal champion. In retrospect, maybe I'll give myself that title, but day in and day out I am getting much less done than before and I’m forced to pick and choose very carefully what quilts I’m able to make. This new lack of time and energy has created a new fear that I had not previously experienced – the fear of wasting time and precious fabric. 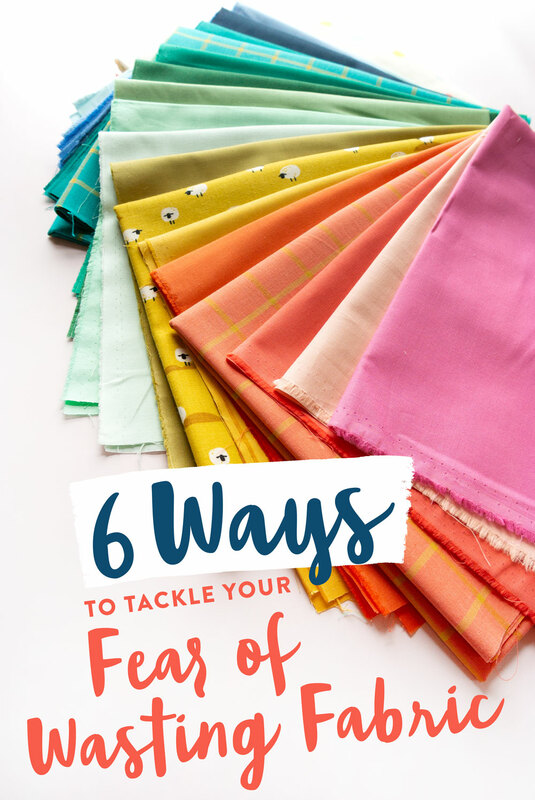 This fear has actually caused me to waste lots more time and energy fretting about picking the perfect fabric combination for the perfect quilt pattern otherwise THE WORLD WILL END because who knows when I will feel well enough to sew again?? This has become life or death, people!! 1. Take your time planning, but set a timer. For some people the planning portion of quilt making is the best part. If that's you, this step is going to come naturally. I, however, can start to feel a growing sense of angst if planning takes me too long and I'll only get release once finally ironing and cutting fabric. Ahhhh….the sweet release. Now that I have less energy and time, the quilt planning process has passed angst and taken the expressway into anxiety and second guessing. A pleasant process that once took an hour or two, can now make my head spin for days. DAYS. By the time I have landed on a fabric pull, I’m all out of energy. Sayonara quilting! I’ve gotta take a nap. Here’s my new plan: less planning. Rather than second guessing and spinning out of control, I am literally setting a timer on my phone and forcing myself to make a final decision before the buzzer goes off. Whether that’s rummaging in my fabric stash, shopping online or asking my Facebook group. When the timer goes off, a decision will be made. 2. Use a color/fabric combination you already know you like. It takes just a brief glance through my closet to see my go-to fave colors. It’s OK to have a tried and true color scheme that you revisit over and over again. It’s kinda like a favorite song on the radio. Once it’s finished, don’t you wish you could just hit replay? If I only have a small amount of time to get this quilt party started, let’s not reinvent the wheel. 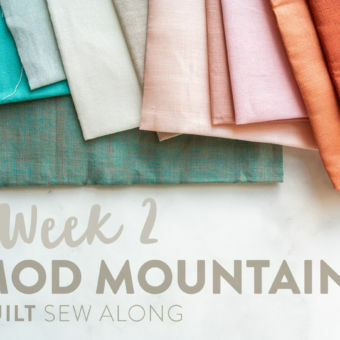 Let’s take a color scheme or fabric pull that we already know is amazing, and remake it with a different quilt pattern. Then you’ll have coordinating quilts! Pretty! 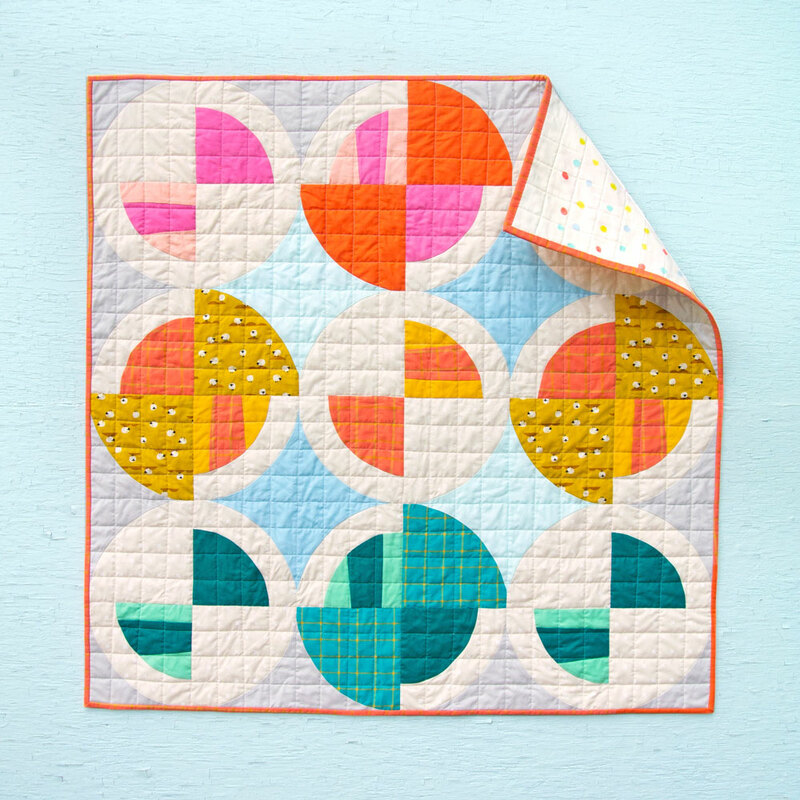 With this Modern Fans rainbow baby quilt, I started with a pre-made bundle and substituted a few coordinating prints. 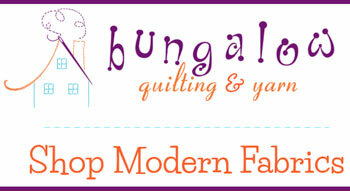 A great way to get around pairing fabrics is to visit your favorite fabric shops and see how they are already doing it! 3. Slow down when cutting. Let’s do it right the first time. I’ve never been a measure-twice-cut-once kinda gal. It’s not my nature. The amount of times I’ve messed up cutting my own quilt patterns because I can’t be bothered to read the instructions I wrote, is shameful. But now I’m in a new, strange stage of life where my over-sized belly doesn’t let me hunch over my quilting ruler to make quick assessments and then move on. Now I need to slow down and double check all of the grid marks before slicing. Above is the Modern Fans quilt pattern. 4. Make a test block. If your chosen quilt pattern is block based, take a handful of scraps and make a test block. 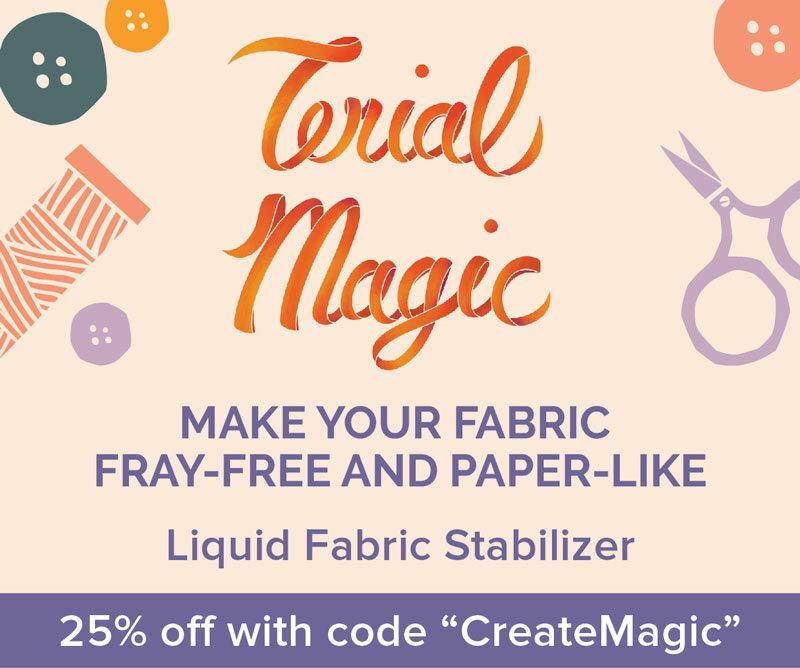 Yes, I know it’s extra time you don’t have, but this will ensure that by the time you start cutting your “real” fabric, you are familiar with the cutting instructions and also with any templates the pattern may require. This is also the time to double check that you have printed your templates correctly. From what I've seen in my Modern Fans sew-along is that most mistakes have happened due to templates being scaled-down when printed. Thankfully a lot of sewers have caught this mistake after making a test block. 5. Release yourself to make cutting mistakes. So you just cut all of your strips 3” wide when they were supposed to be 3 ½”. Take a breath. You’ve got a few options. Can you still make those strips work? Maybe just cut everything a ½” smaller or shrink everything down proportionally? 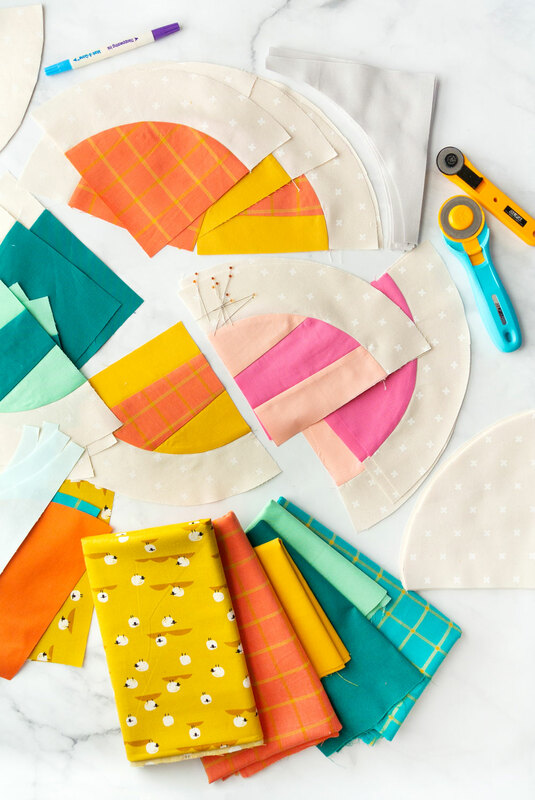 Set those strips aside for another project and dive into your stash. If the pattern requires ¾ yd. 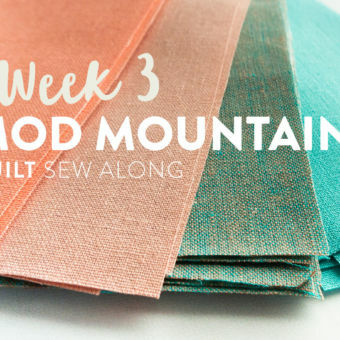 of teal fabric, can you scrap together that same amount of teal-ish fabric? The fabric doesn't all need to be the same, just from the same color family. Scrappiness adds charm! 6. Remind yourself that there will be more quilts in the future. 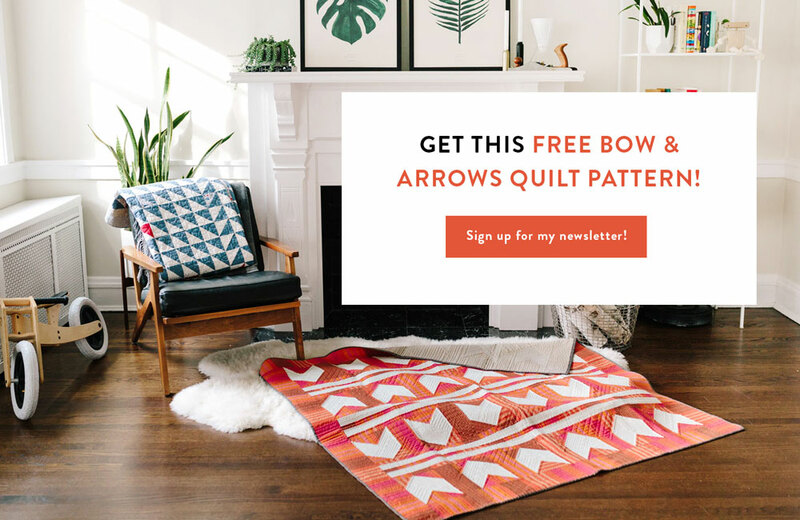 My fellow Quiltketeers, there will be more quilts. It's fine if this one isn't your masterpiece. I don’t know if it’s the financial investment of fabric or the time investment of all that sewing, but for some reason I can put a lot of pressure on each quilt to be THE BEST. 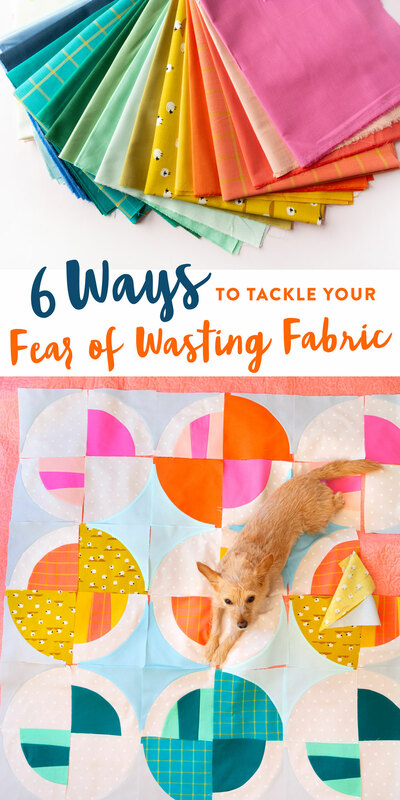 That pressure only adds to the fear of wasting fabric! Well I say, enough of that. I love fabric. I love sewing. I love making quilts! If I truly love all of the pieces that come together to make a quilt, isn’t it just an added bonus if the quilt turns out well? 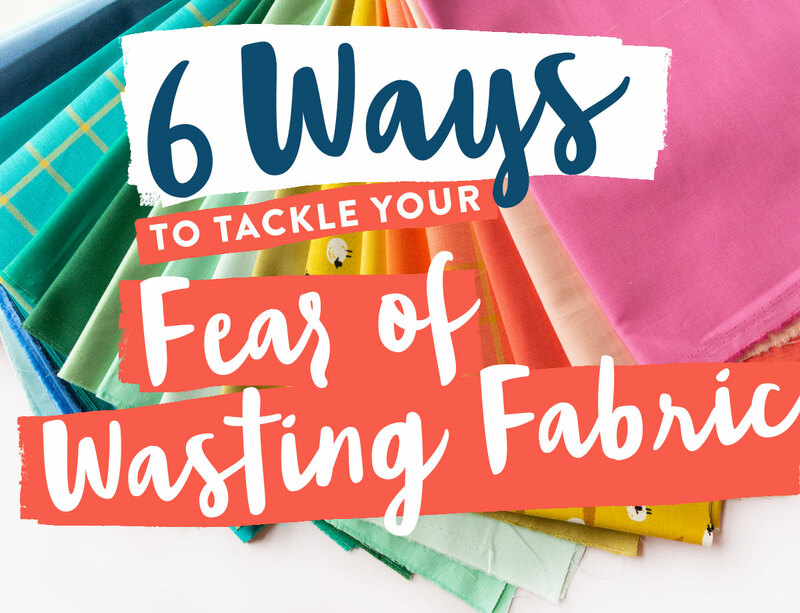 Do you suffer from fabric wasting phobia? If yes, let this blog post be our support group. We can eat donuts, sip coffee and talk through our stresses and fear of wasting fabric. If you have any tricks to coping, let us know in the comments! Yes, Suzy! This is the post that I needed a few years ago, as my anxiety about sewing was completely preventing me from ever getting started. Then I read a quote from someone that said “done is better than perfect” and it all clicked for me. I had to give myself so much grace as a beginner and really understand that my first quilts and sewing projects will simply not be perfect, but in practicing and becoming familiar with the process I’ll start to get better and gain confidence. 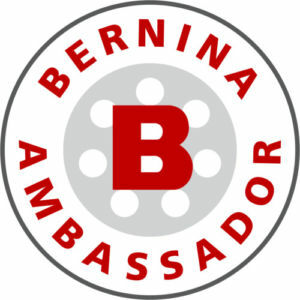 Thanks for all you do to provide inspiration, guidance, and advice to us in this space! It’s helpful and so appreciated! Nice piece of advice. Congratulations on your new baby. Hope your feel better soon, but you look beautiful. You’re so sweet. Thank you! These are awesome tips! Also, I love the checkerboard quilting you did in the last photo! 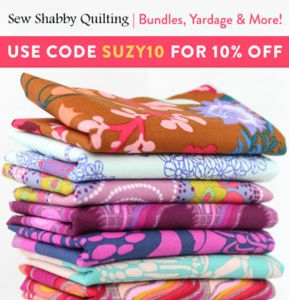 I’ve been thinking about how I want to quilt mine and that might be it! Picking out the fabric literally takes longer than the quilting for me! A timer shall be used from this day forward…brilliant! All that being said, Congratulations on your biggest and best project ever! Nap, nap and nap some more…you earned it! My two kids already have two quilts and a quilted pillow each. They ask me almost weekly to make them another one. You can’t have enough quilts. Great tips! And so sorry you’re not feeling well! I was like that with my first pregnancy. I lost 10 pounds my first trimester. With my second pregnancy, I tried ginger to settle my stomach, so I could eat. It worked great. I would nibble on a piece of crystallized ginger first thing in the morning so I could get breakfast down. They make ginger tea, too. I would also drink that. Hope you feel better soon! Thank you, Shannon! Thankfully my problem hasn’t been tossing up my meals. I do, however, need to eat every two hours to keep the nausea at bay. Getting a little worried I’m going to gain 100 lbs. haha! Great post!! I’m often embarrassingly stingy with my fabrics!! I’ll redo quilt math on some patterns to eek out a little extra and sometimes I catch myself becoming obsessive over saving a matter of .5” 🤦🏻‍♀️ Then, after what could be hours of fussing, I’ll maybe catch myself and step back, deep breath and try and act rich, let it go, waste a little!! But my time would be better spent doing your 6 steps!! Ha!! Also, congratulations!! Love this post! I love your quilt, too. It is like beautiful circles, floating in a blue sky, along with a precious little dog! Unlike you, I came to quilting very late in life, after retiring quite some number of years ago. So I am still just a beginner. I totally identify with slowing down when cutting and making mistakes when cutting, but I especially love the idea of making a test block from scraps. Most of what I do is making blocks to contribute to charity quilts. They have to end up the exact size to fit with all the other blocks folks send in. Imagine the variety! The anxiety you’re feeling about wasting fabric is like the anxiety I feel about my life at this point. What will happen to all my beautiful fabric that I have become so obsessed with? I have to make a plan for it. There is no way that I can use it all myself. Planning helps – deep breathing helps. I have to say that I am envious of all your wonderful days ahead with that beautiful new baby and all the fabulous quilts you will make together in the quilt of life! Thanks for your colorways and options. They are a huge help! I also love your timer idea. You look adorable with your baby bump Suzy!! I’m so sorry to hear about your accident. 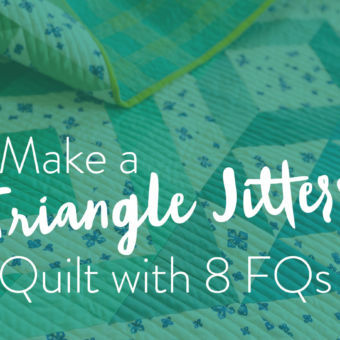 How amazing that you’re still quilting just as much as ever! I’ll keep the quilt kits coming, as long as this bump doesn’t get in my way too much. haha! I just wanted to add two thoughts about what to do when you cut the strip or square too small. (Well, when I cut it too small, anyway.) First, sometimes, I’ll just sew some wrong-cut pieces back together to make them bigger, then re-cut them the right size. I’ll press that seam open for extra flatness, and most times, you don’t even notice. The only times it can be too obvious is with directional prints or stripes, but lots of times, I can make a mistake work. Second, since I usually use 2-1/2” binding strips, I’ll usually put that mistakenly cut strip into my binding. Since it’s in the quilt, we already know that it matches, right? Scrappy bindings, especially two-color bindings, ar cool! That is so right! It seems like fabric designers are just getting better and better. Congrats, Suzy! The nausea will pass. I was nauseous and couldn’t keep much down the first three months with my first. I lost 12 lbs within two months. You will soon forget the unpleasantness when that beautiful baby arrives. 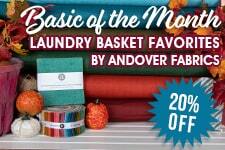 Thank you for all the great information and quilting instructions you give us and I do fall into this category of fear of wasting fabric. You are truly an inspiration but when it’s time to rest, you should. Quilting can wait. Enjoy this special time. These are great strategies that I will definitely need to practice. I used to be a teacher and had to squeak out every inch of construction paper for my classes. I find myself doing the same thing with fabric and I need to relax and just enjoy the process. I also have developed a terrible habit of changing fabric mid-quilt. I will find a fabric I like better than one I planned on using and will try to add it in some way. For a beginning quilter it can be a little too adventurous to do, but so far it has worked out pretty good, and built my fabric stash! I love your posts and think you look adorable with your little baby bump. I hope you get to feeling better soon and welcome to the world of boy moms- it is a fun and crazy ride! If it’s working out for you, I say don’t change a thing! And thank you, fellow boy mom. I’m a little nervous about it cause I had always assumed my body would make girls. haha! Your funny — but you look awesome in your baby bump picture! Cut yourself some slack. Besides not feeling well, you probably have pregnancy brain fog preventing you from choosing fabrics as quickly as you used to. Just enjoy your slower process and save your energy for when that baby comes! Best of everything to you and your little one. I also think the frequency new fabrics come out and sell out contribute to the anxiety. Unless you overbuy, you cannot just get more to replace what you’ve messed up. 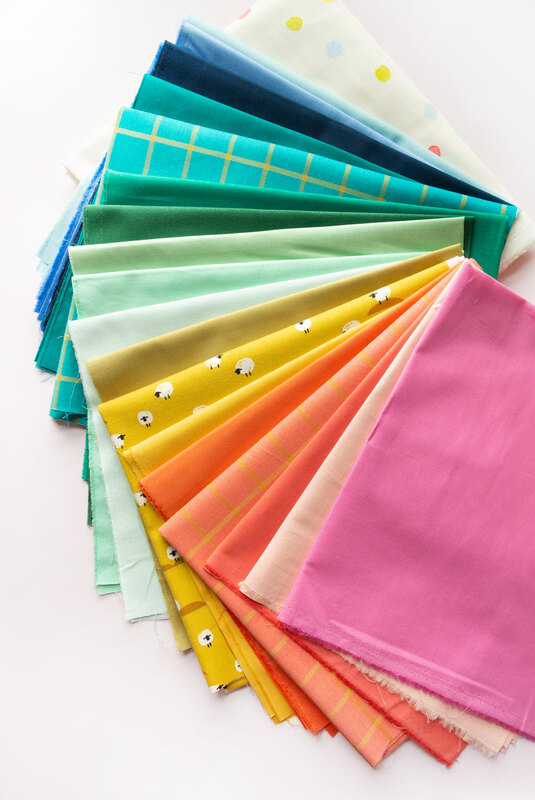 On the flip side, the frequency new fabrics come out should relieve some anxiety knowing fabrics just as nice or even better will come out soon. Does any other craft produce the same anxiety? Yes and yes! It seems like we get about 9 months to a year on each fabric and after that and it’s like panning for gold. Thank you for this post, it is so nice to know others feel this way too. I have anxiety about picking the perfect pattern for my perfect fabric. There are so many options I can get overwhelmed about making a decision. Maybe I should try a stopwatch for that too. 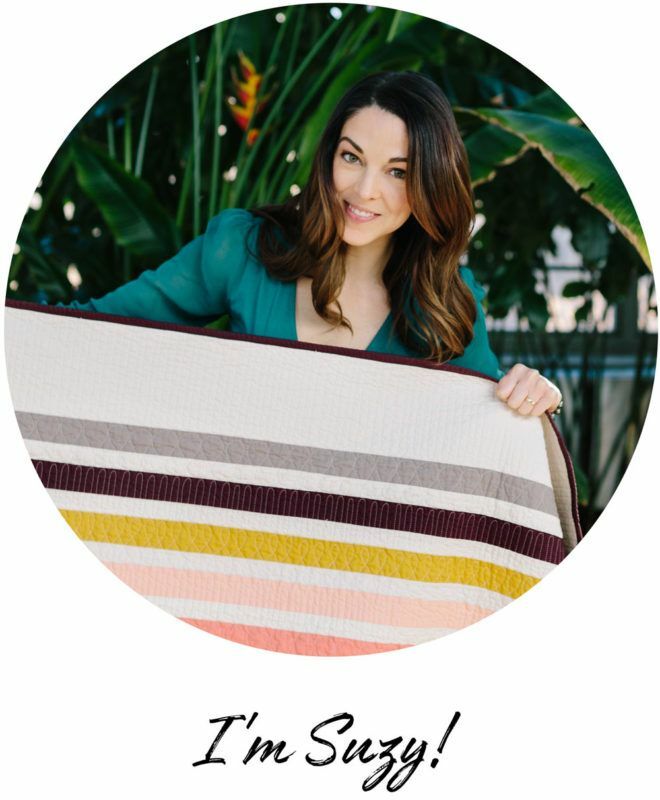 You are adorable with the baby bump and nine quilts for a baby is perfect! Congrats on your babe! I had my baby girl in August and am on maternity leave currently. I found it difficult to find energy while pregnant to devote to quilting and now that I’m on mat leave I find it difficult to find the time. I’m sure as my baby girl gets a little older the time/energy equilibrium will right itself. I feel for you and not having the greatest time through your pregnancy – the last 20 weeks will go faster than the first! I love your silly instagram posts and stories…. Keep it up (if you can… 😜)! Congrats, momma! I’m counting down each day and I sincerely hope you’re right about the last 20 weeks passing faster. The other day I was joking about making a hot tub time machine so I could speed through the next few months. Then I realized that even if I had a hot tub time machine I wouldn’t be able to get in it! lol! For me it’s not so much wasting fabric as using what I can’t replace. You know what I mean? 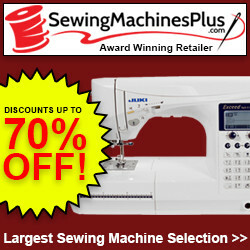 – those fabrics that make you wish you had bought the whole bolt! And I know it makes no sense. Is fabric really cuter on a shelf than in a quilt? I love your fabric selection pictured. Speaking of adorable fabric, I had to go find the sheep one. What are the plaid fabrics? I completely get that. I feel that way every time I cut into some Nani Iro fabric. This little red light flickers in my brain reminding me there’s no turning back – better make it count. The plaid fabric is called Window Dressing by Cloud 9 Fabrics. You just described Motherhood through the subject of quilting. Sounds to me like you are ready for the new chapter.💜 Congratulations. You got this. Here’s my story…..Went browsing at our Salvation Army Store and there on the shelf was a clapper! Would not have known what it was if I hadn’t read your blog. Made a bee-line for it and now have a June Taylor large clapper for less than 2 bucks. Made my day. Thank you for teaching me all this quilty information. That’s an amazing find! I bet none of the Salvation Army volunteers knew what it was. haha! 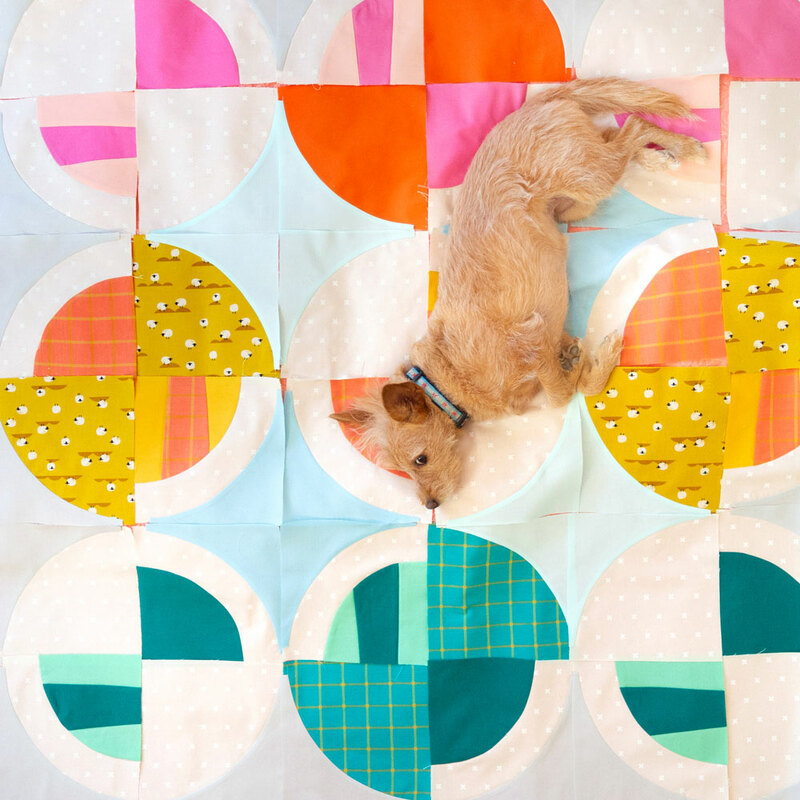 Love the quilt in this post! And congratulations on your firstborn! Your sweet little dog (I forgot his name) won’t be your “baby” any longer. I’m sure he’ll love the baby. For us empty-nesters, our dogs are our babies! Much happiness to you and yours! I have just read this and it’s great. I only started quilting since last year and I have gone through all of those and came out to the same conclusions. I have several projects on the go at the same time in varying stages. That way if I’m not in a sewing mood I can trim blocks or press or cut new or plan another project. I have 2 projects in my head and I’m just waiting for the perfect fabric to show itself. No angst. Also I am also the child of a twin. I don’t think anyone else realizes the treasure that it is. My issue about fabric waste is that I save allllll my scraps. To the point where I have bins of odds and ends that I am convinced I will do something with someday. And I’m not talking about big scraps… but like little bits. To date I have yet to do anything with them. Anyone have some suggestions as to what to do with them? Or how to stop hoarding? My husband is limiting my new fabric purchases until I liquidate some space. I LOVE your sense of humour and all the wonderful information you provide. 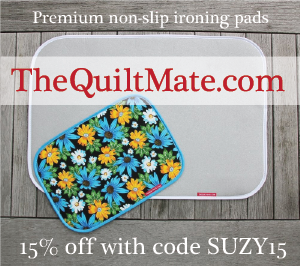 I even set up a Pinterest board specifically for “suzyquilts info” so I can easily refer back to favourite posts. I have 2 daughters approximately your age. We live in different cities and they don’t have kids yet. I miss them terribly and look forward to becoming a grandma someday. I feel so happy to know that you are expecting your first child and want to wish you the very best. Thank you so much, Linda! You sound like you’ll be an amazing grandma and if you want a kid to practice on, I’ll know one in a few months. haha! This saved me! I have such a hard time getting started. I am on a tight budget and I am always wondering what if I mess up, what if I don’t like the way the quilt looks when I am finished. Should I really dive into my precious fabric. Such great advice Suzy! I spend way too long selecting fabrics. I am going to start with my favs and set a timer next time! You look adorable with your baby bump! Hope the nausea goes away real soon and you are feeling better. LOVE this baby blanket. Sadly no more babies in my realm, but it’s always fun to keep one tucked away for a gift. Take care girl! This post was great – for all the reasons others have mentioned. A couple of weeks ago, a quilt instructor said to me, You know – its only fabric…. I’ve tried to remember that when I’m designing and cutting. And now, I’m going to remember what you said too – there will always be fabric I love, so I should use what I’m saving. Oh – and one more thing… When I had my kids, I thought I had 3 boys but my youngest turned out to be a girl who transitioned in her last year of high school. So you never know… parenting boys or girls, it’s always an adventure. Good luck! 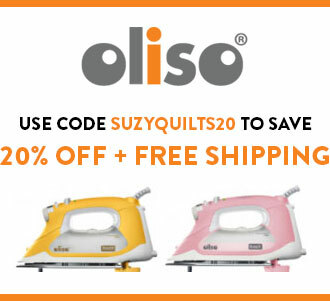 Suzy your quilt is gorgeous, as are the ones I see in quilt magazines I read. 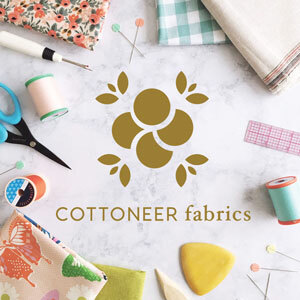 I totally associate with what you are saying but for different reasons, I am in my late seventies, fabric such as Kona is so much more expensive in England than America, along with disability concerns mean there is not enough time or money to make all the quilts I want to. So I procrastinate. No more, I shall take up your suggestion. Thank you. Hey don’t tell me what to do! But seriously, analysis paralysis is the worst. I’m battling some myself. We just have to do the thing and keep doing.